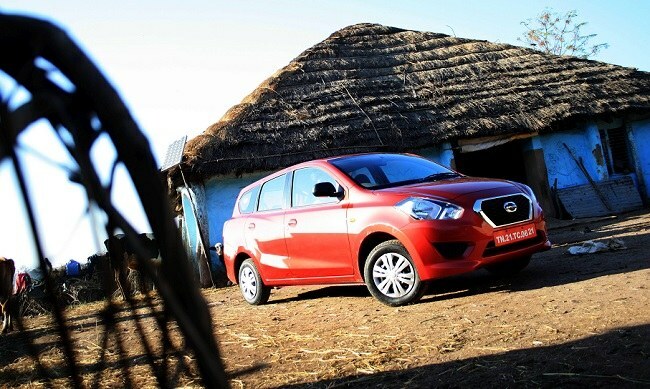 Nissan has been struggling to sell cars in India since its inception here. Then came the management's decision to launch a new low-cost car brand - Datsun - and honestly, it was quite surprising. Nissan intended to cater to entry-level buyers with Datsun; the ones who are either buying a car for the first time, or are daily commuters. The one thing true for such buyers is that they always prefer a brand with an established service network and strong presence across the country, and that, definitely isn't the case with Nissan. That sums up why I was sceptical about its chances of success and also why Maruti Suzuki and Hyundai dominate the entry-level market in India. 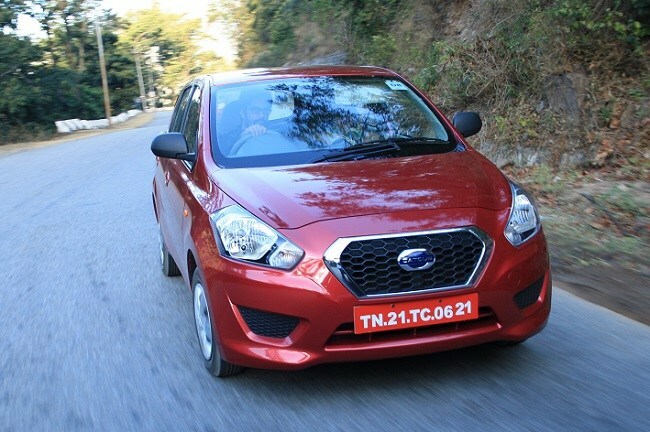 Nissan, however, looks at it differently and believes that Datsun - with the promise of better build quality in the budget segment - has the potential to become a good alternative to traditional strong players in that space. The company started its journey with the GO hatchback, which is the most spacious car in its league and goes head-on against the likes of Maruti Alto K10 and Hyundai Eon, but failed to create the buzz the company was hoping for. 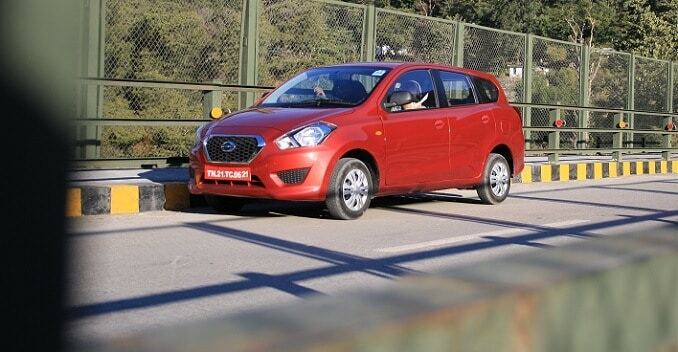 Datsun has managed to sell only 5,874 units of the GO in the last six months, while Maruti sells as many units of the Alto in a matter of just a few days! 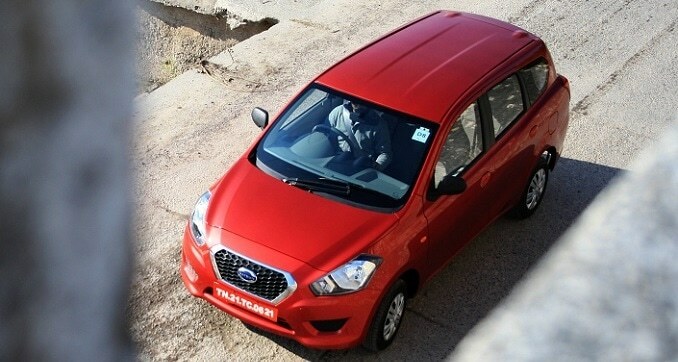 So before GO's first anniversary, Datsun is ready to launch yet another product - GO+. 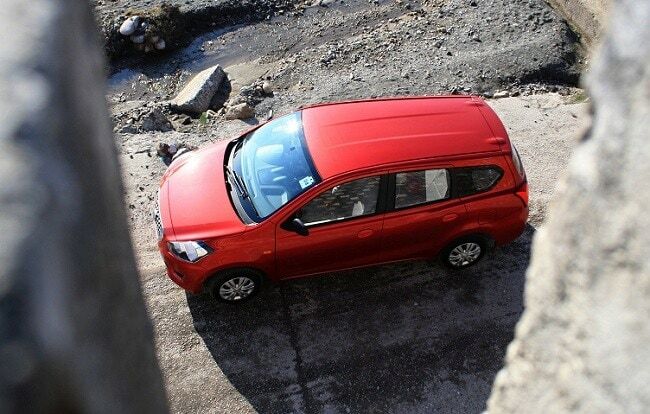 The GO+ will create an all-new segment in India - sub-compact MPV. While it will have the first-mover advantage for the category it represents, I still expect it to face stiff competition from the established hatchback names in that price (Rs 3.5-5 lakh) bracket. Also, there are two Maruti vans - Omni and Eeco - that are available with optional 7-seat configuration and are priced as low as budget hatchbacks. Now that you have a fair idea about the positioning and pricing, it is about time I talked about the product and the way it drives. When I first looked at the GO+, it merely looked like the stretched version of the GO hatchback - which isn't surprising since the two share their platform. With a similar 'D-cut grille', wrap-around head-lamps and the bumper housing three lower air intakes, the front-fascia of the car looks pretty acceptable, if not exceptional. The side profile, however, looks dull, thanks to the undersized 13-inch wheels and the rear overhang that somehow doesn't look appealing to the eye. That said, the roofline that falls downwards and the rising beltline give it a mini-MPV like stance, which, I am convinced, would have been quite a tough job for the designers since they needed to keep its length under 4 metres. The rear profile of the car is very plain despite the company's attempt to give it an extended squared-off estate car-like styling. Moving on to the interiors, the first two rows of the MPV look like an exact replica of that of the GO hatchback. Not a single change to the dashboard, controls or the fitments. The gearlever and handbrake's positioning (recessed under the dash next to the steering), too, remain unchanged in order to offer more space to the front passenger and driver. However, the handbrake lever can be irksome for tall drivers since it constantly fouls with the left knee. The new element in the cabin is the third row of seats which is good enough strictly for kids, or the bench can be removed for more luggage area. Though I must say that the luggage area is more than enough for a sub-4 metre car. For the in-car entertainment/ comfort provisions, the absence of even a basic music system might disappoint you. Instead, you get a Mobile Docking Station (MDS) that allows the driver to sync a smartphone via an AUX cable. In fact, you cannot even plug in a USB to play your favourite music; the USB slot in the car can be only be used for charging a phone. The material quality, too, isn't the best-in-class, but keeping its positioning in mind, the car is still better than several other cars in the range of Rs 4 - 5 lakh. Now, the most important section of the review, and something that matters the most - performance. Before even sitting on the driving seat, I was unsure if the 1.2-litre, 67bhp engine that powers the GO will be able to do justice to the car that is larger and heavier than the hatchback. However, the 104Nm of torque helps the car pull reasonably well in the mid-range and the engine is tuned to make it slightly more responsive. The low-end poke could still be more as I felt reluctance from the engine in gaining speed while shifting from second to third while doing 35Km/h. The robust chassis and mildly tuned suspension helps it perform admirably at low-speeds and most irregularities are dealt with confidently, but the damping could be better at high speeds. The NVH levels of the GO+ annoyed me the most. You can clearly hear all sorts of noises - tyre noise, engine noise, wind noise - even at 40Km/h, and it gets increasingly unbearable as you go faster. The subject of insulation is an area that the company should have paid more attention to. 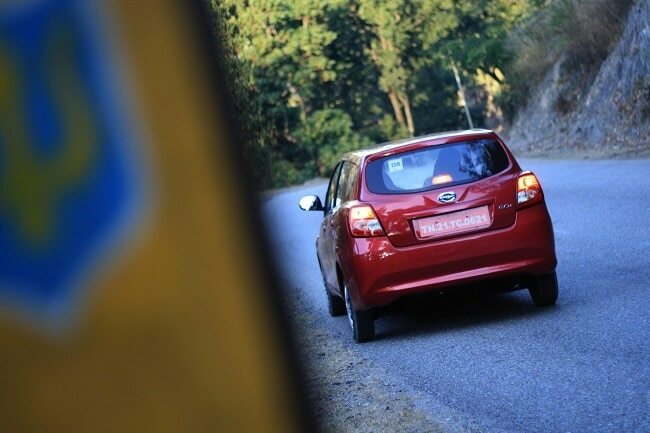 While the GO+ handles the regular corners pretty well and remains reasonably stable, it does tend to roll a bit much upon hard cornering at even low speeds. This is possibly because of the long suspension travel and the small tyres that fail to grip well. If you are looking for a family car that is affordable, spacious and fuel-efficient, the Datsun GO+ might fit your requirements. But the two things that might disappoint you are - noisy cabin and lack of some necessary features like audio system and airbag (even in the top-end variant).